You are currently browsing the tag archive for the ‘Apex’ tag. 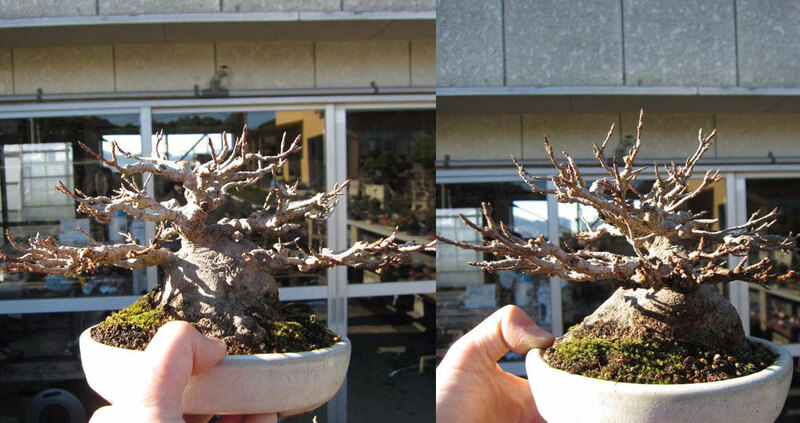 Before I left for Japan a friend (who runs an interesting blog) asked me to take some pictures of bonsai from the side so he could get a good idea of how the trunk lines and apex were constructed. 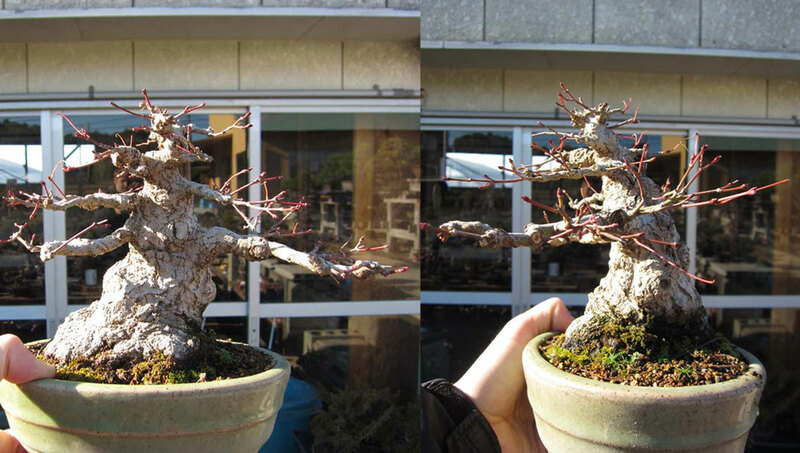 He has begun growing some stock in the ground and was keen to see how the japanese constructed their trunks. 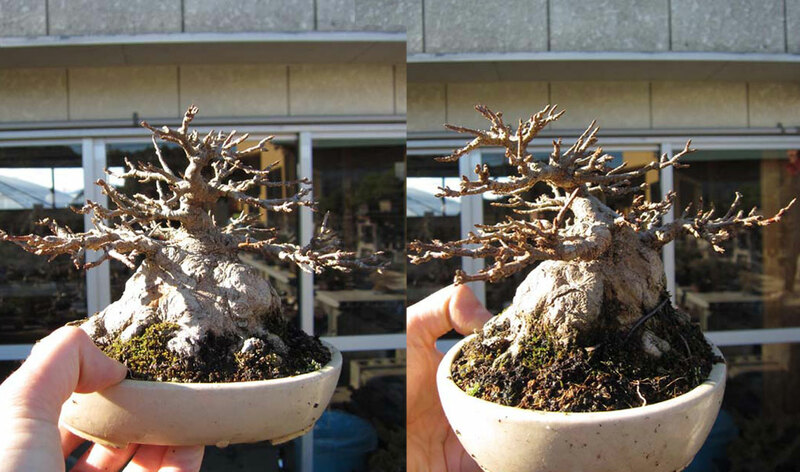 So as I was snapping pics I sometimes remembered to take a few shots from different angles to show a more 3d view of the trunks. He asked I photograph a wide range of trunks but I realised that the deciduous trees were the only ones that you could easily see the trunk movement and structure so those were what I focused on. 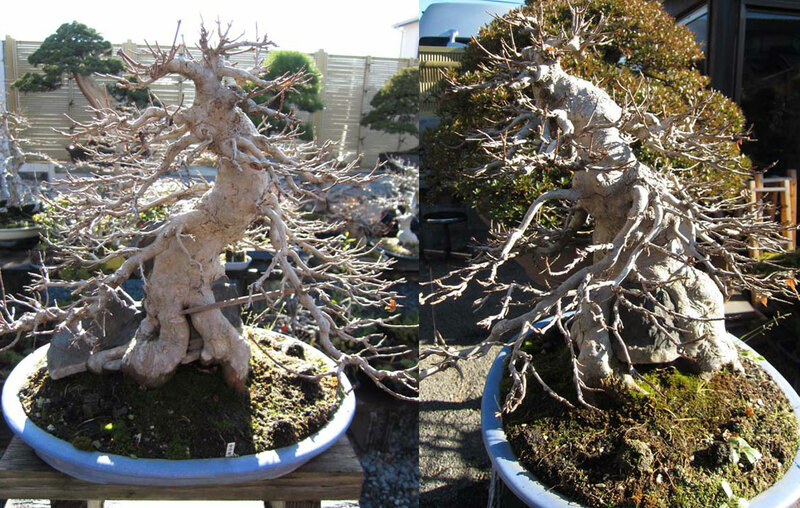 A medium-sized root over rock Trident maple. Looking back at the photos it is interesting to see just how far forward some of the apexes are. I guess this allows you to get a much more compact apex with many branches. If you imagine standing these apexes up you can picture that it would raise the height of the tree and also spread out the ramification in the top section creating a taller less dense image. Looking over my own trees at home over the weekend I think that some of them could become more compact and dense from a simple tilting forward of their upper structure. It was a good exercise taking these pictures as I had seen hundreds if not thousands of trees over the years but have never really focused on this one detail. I think I will have to look over all my other photos and pick out individual styling details and see what they reveal.